Home > Monthly Immigration Policy Calls: What Does the Future Hold for Immigrant Workers and their Families? Immigrants fill essential roles at every level of the U.S. economy, from corporate suites to construction sites. 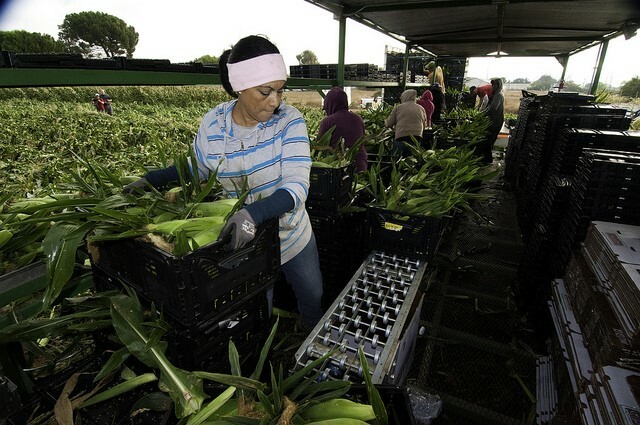 While concentrated in low-wage sectors, newcomers—particularly those without legal status—have been indispensable to the success of major industries, including agriculture, hospitality, and food service. Despite immigrants’ significant contributions, the current administration has signed executive orders and put in place policies and procedures that have not only disrupted the lives of these laborers and their families but threaten to uproot them entirely from their homes and communities. This one-hour call will examine the impact of the administration’s policies on low-wage immigrant workers and the role of employers, labor unions, and community-based groups, such as worker centers, in helping to protect their basic rights. At the beginning of the call, Kerri Talbot, Partner at The VENG Group, will also provide a general policy update. The Impact of Immigrant Women on America's Labor Force, American Immigration Council, March 8, 2017. Economic and Tax Contributions of Undocumented Immigrants in NY, Fiscal Policy Institute, March 2, 2017. Undocumented Immigrants' State & Local Tax Contributions, Institute on Taxation and Economic Policy (ITEP), March 1, 2017. Blog Post: Undocumented Immigrants Pay Taxes, ITEP, March 2, 2017. The Economic Impacts of Removing Unauthorized Immigrant Workers: An Industry- and State-Level Analysis, Center for American Progress (CAP), September 21, 2016. Data: Removing Unauthorized Workers Harms States and Industries Across the Country, CAP, September 21, 2016. 112 CEOs from Illinois, Florida and Colorado Back Bridge Act, Illinois Business Immigration Coalition, undated. Local CEOs fight Trump's immigration plan, Chicago Tribune, January 20, 2017. Chicago business leaders: Our economy needs immigrants, John Atkinson, Illinois Business Immigration Coalition, January 12, 2017. Workers Turn Down Back Pay, Said to Fear Deportation, Bureau of National Affairs, Bloomberg, March 7, 2017. Your Rights as an Immigrant Worker, National Immigration Law Center, March 2016. Portal: Workers' Rights, National Immigration Law Center. Photo shared via Flickr by the U.S. Department of Agriculture under a Creative Commons license.